Over the past four years, the Internet has grown up – literally! It used to be that we would get online to shop and check out email. Well, statistics show that is no longer the case. 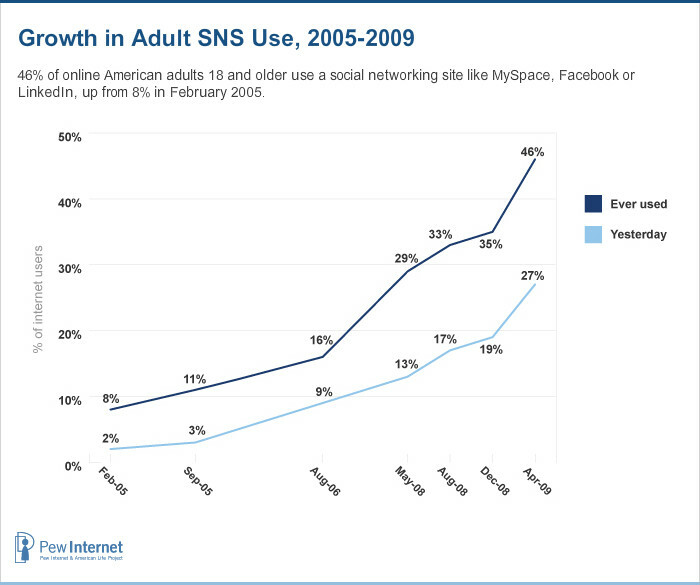 There is a major trend / shift in demographics that show adults have increased their use of social networking on the web. Just in the past 3 years alone, Facebook has grown from nothing to over 300 million users world-wide! And it’s speculated that within the next couple of years, Facebook could actually grow to be a larger web property than Google.